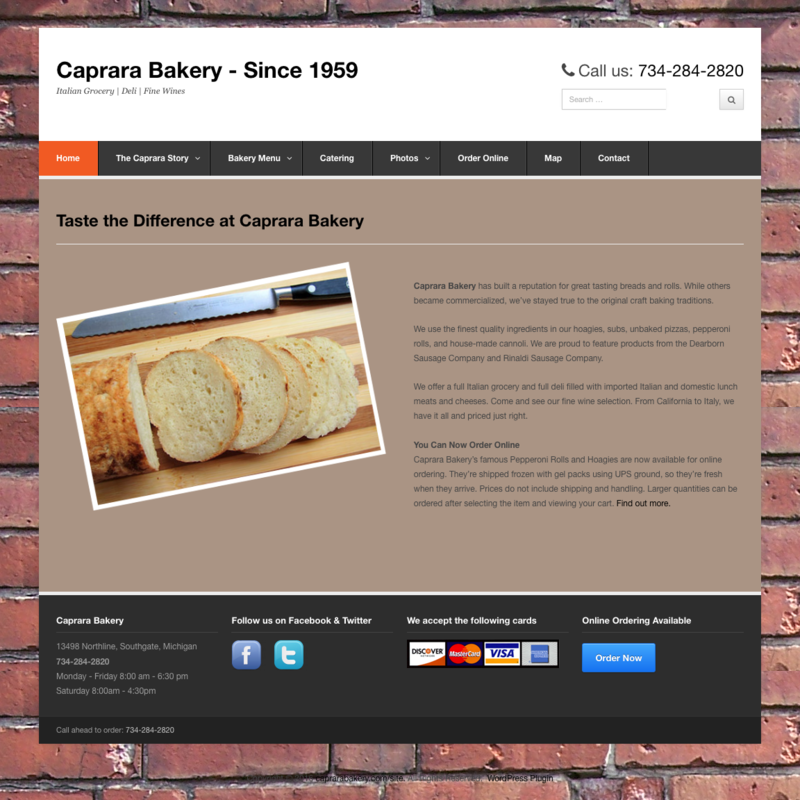 Caprara Bakery can boast a rich family history of ownership with plenty of loyal customers. With many of these customers in far-flung locations across the country, our client wanted a site that would allow him to sell products online. We designed a site to show off his creations and that included a PayPal “Buy it Now Button.” Now, customers from all over the United States can oder a Caprara Bakery pepperoni roll anytime.